Overview Exanthem refers to the cutaneous manifestation of a viral illness (enanthem is the manifestation in the mouth). Historically, 6 exanthems have been recognised, 4 of which are viral. However, obviously there are much more common exanthems. Overview Also known as rubeola or first disease it is a highly contagious infection. Presents as an acute exanthematous febrile illness accompanied by conjunctivitis and koplik spots. 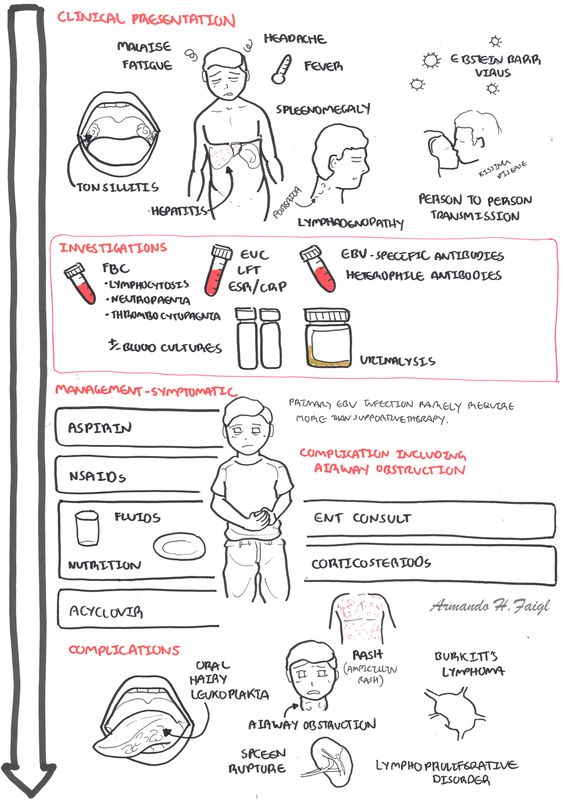 Remember complications common if malnourished or immunocompromised. Overview Generally a mild illness, but can cause devastating congenital infection. 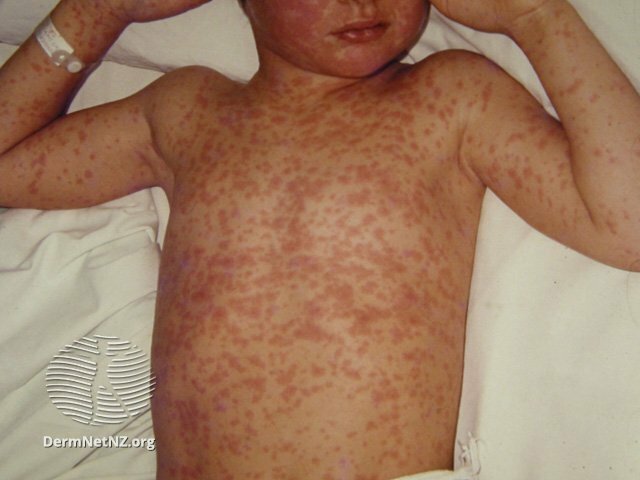 Also known as german measles or third disease. It is a minor illness in children and adults, but devastating when transmitted in utero. Remember Congenital rubella is still the most important cause of blindness and deafness in the neonate. 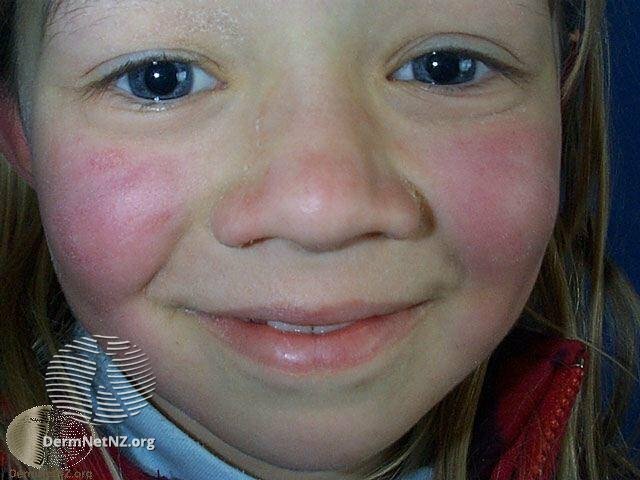 Overview Also known ‘slapped cheeck’ or fifth disease. 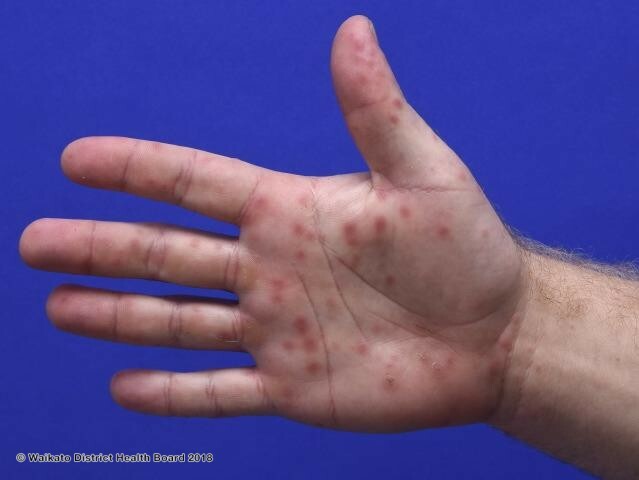 Papular Purpuric Gloves and Socks Syndrome is also caused by parvovirus B19 and presents with erythema, oedema, petechaie and purpura of palms and soles + burning and pruritus. It is self limiting and occurs in children and adolescents. Overview Also known as exanthema Subitum and sixth disease. Overview Pityriasis Rosea is a self-limiting skin rash thought to be caused by herpesvirus 6 or 7. Herald patch is often the primary lesion followed by additional similar smaller lesions around. Herald patch often misdiagnosed initially as a tinea infection. Deroofing of the lesion with a 21-gauge cutting-edged needle and wiping out the contents. 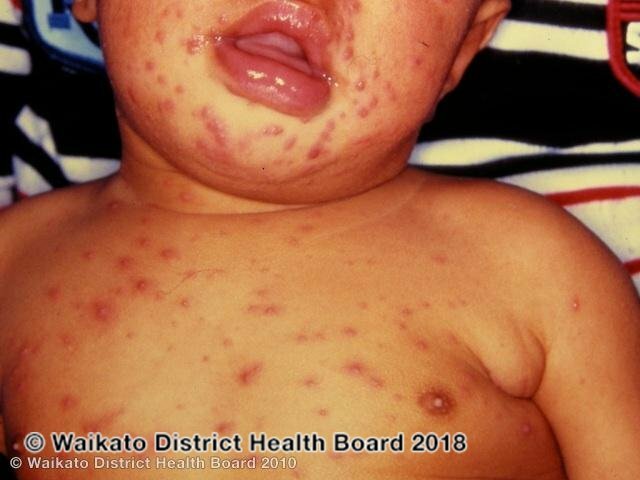 2 year old infant bought in with vesicular rash on her hand, foot and mouth. Overview Mild vesicular eruption caused by a Coxsackie A virus. Overview Benign epidermal tumors caused by multiple types of human papillomaviruses. The common wart (verruca vulgaris) occurs particularly on hands, knees and elbow. Plantar warts occur particularly over pressure points on the soles and can be differentiated from calluses by a loss of skin markings over the skin surface. Salicylic acid with regular paring and occlusion. Overview Common, contagious viral infection involving the skin characterised by pruritic vesicles which eventually crust over. 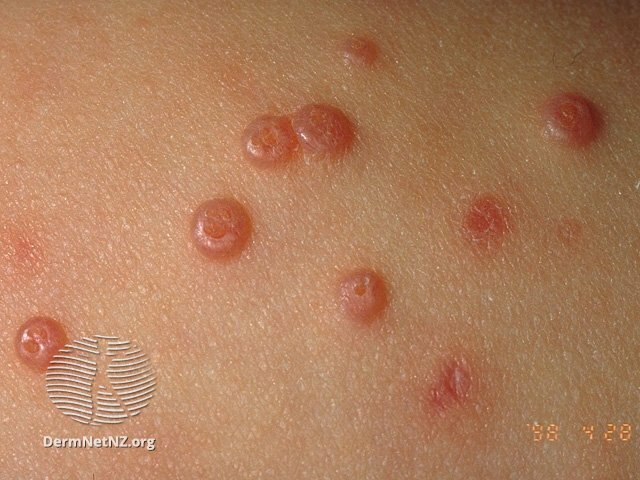 Clinical reactivation later in life results in herpes zoster (shingles). It is transmitted by airborne spread. Vesicular rash which crust over. The rash presents in all its stages. Person is not contagious once lesions crust. Overview Primary Herpes simplex virus (HSV) infection in children is usually asymptomatic or non- specific. Herpetic gingivostomatitis is the most common specific clinical manifestation, occurring in 25% to 30% of cases. 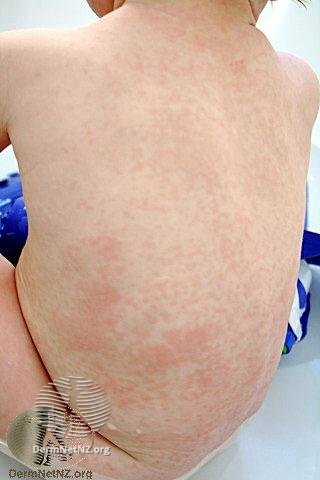 Rash is polymorphous – non specific, occurs in about 5% of cases only. 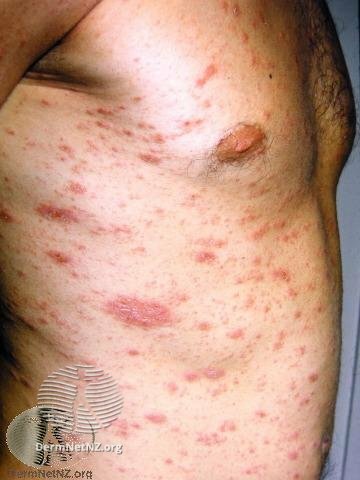 The secondary rash is most often precipitated by one of the penicillins, especially ampicillin or amoxycillin.